Well you must have heard about one new product related to sales, marketing and management. Yes I am talking about “Kajabi”. Basically Kajabi is a platform that might help you to sell your information and knowledge online through your blog. Yes you are thinking it right. If you are a skilled person with lots of knowledge related to no matter what (science, technology, fashion. Books, movies or what so ever) you can simply make a blog and can generate revenue streams using Kajabi. Isn’t that so amazing? In This article, we will show you how to make money from your blog using Kajabi. When it comes to the question that which management system is on top to sell information? You might find different opinions. Of course every other day we are introduced to some new online platforms and there is very tough competition. I have read reviews of some other online platform that might help you in revenue stream but trust me Kajabi is actually what you need. When you will give it a first look it will surely make you very excited because of its new and exclusive features. Kajabi is used to build membership sites, digital products, live streaming of certain events, online coaching groups or anything else you want to build online. As a blogger it is something very important to use because why not? Kajabi can give your blog a new look and can generate hundred of viewers every day. 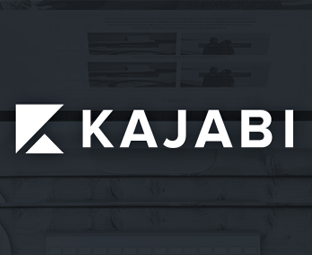 Look at some of the important features of Kajabi that will be helpful to create new revenue streams from your blog. 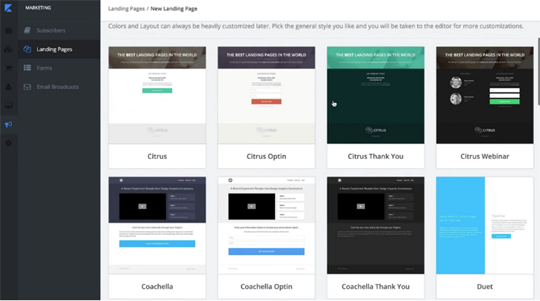 Create landing pages: It is extremely easy to create your landing page using Kajabi without any 3rd party integration. All you need to do is to select some built in template and start sending people to your new template. You landing page should be simple and creative both at the same time to attract more audience towards your blog. Marketing emails: Marketing emails are backbone of any online business. You can earn more if your marketing email is on point and on time. For this you need some marketing tool and Kajabi is here to serve you. Yes you guessed it very right you can send marketing emails to your customers or particular segments of customers on daily, weekly and monthly basis. Statistics: Once you are done with sending emails. Kajabi help you to see the statistic of the emails. You can check how many people have viewed you emails and deliverability rate as well. Make an online store: Well well well! You can also turn your blog into online store to present you products to your visitors. Customization: The most important thing is how you are “branding” your website/blog. Of course it will grab visitor’s attention at once. So with Kajabi you can brand your website very well. You can pick the best themes from the themes library or from any other website. Design your website in the way you want in a very simple and easy way. 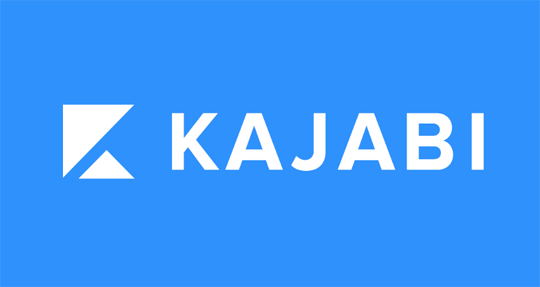 Built in Blogs: You don’t need any other blogging platform as Kajabi has built in blogs. So now it is very easy to share your information, message or knowledge and to grow your list without using any other blogging platform. Isn’t that amazing? All data you need: Kajabi has powerful dashboards with the all the important analytics, actionable information and data at your fingertips. Free trial: Kajabi offers its users free trial of 14 days. Yes if you are interested in using Kajabi you can go for the free trial. You can avail all the features for free. If you are satisfied then well and good, otherwise don’t worry because you have not spent a penny on it. Lol! And yes after free trial you have to pay $97 per month. It really have some cool features for unique situations. You need to look for any additional media hosting as Kajabi runs off cloud hosting. It has some pretty cool community management tools. Videos guiding you on every step. It doesn’t allow people to download videos after certain period of time. Some of it templates can cause bad effects on your website so be very careful while selecting the templates. Nothing in this world is very perfect. The above article showed you that how Kajabi can be helpful for you in many ways and on the other hand it has some drawback too of course. My suggestion to you guys is just use it for once. There is nothing wrong in giving a try by using its 14 days free trial and I am sure once you will avail the free trial you can’t resist yourself for using it further too. It’s a must try for sure.